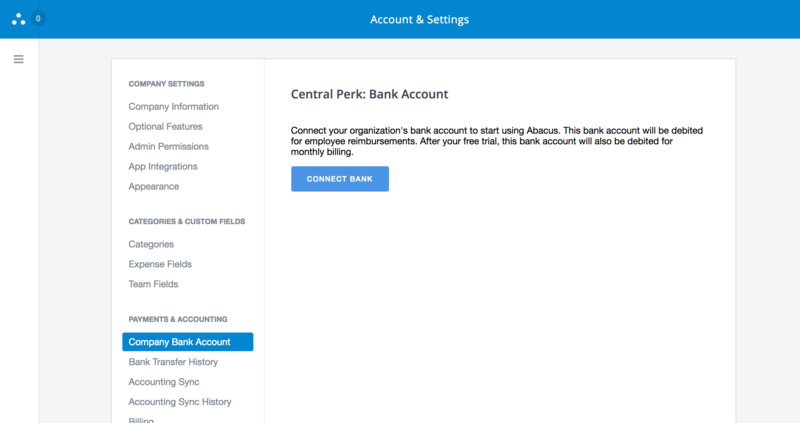 The first step in reimbursing your employees is to connect the company's bank account in Abacus. This will allow ACH transfers from the company bank account into employee's bank accounts. Navigate to your company settings by clicking the 'Account & Settings' tab in your Admin navigation bar, then under your organization select the 'Company Bank Account' tab, and click the blue 'Connect Bank' Button. 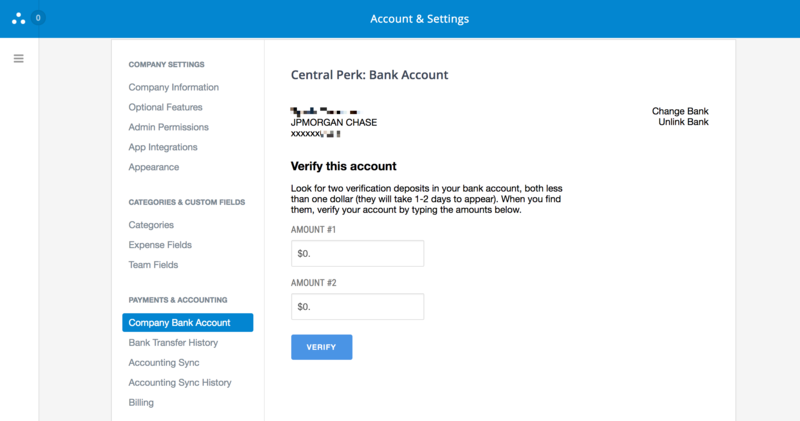 You will be given the option to connect to a supported bank by logging in with your online banking credentials or by entering in your account and routing numbers. If you click ‘Next’ you will be prompted to answer the multi-factor verification questions that are required by the bank account (this might be a security question such as ‘What town were you born in?’). 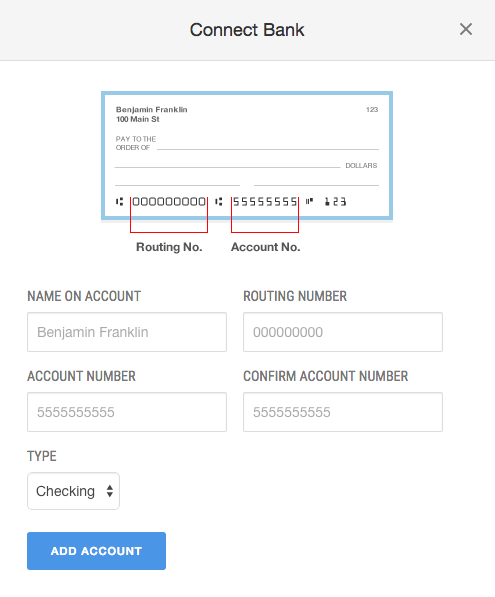 If you are unsure of what the questions and answers are, you should select ‘Connect to any US bank manually.’ This will take 2-3 days and requires you to verify the trial deposit amount within Abacus. 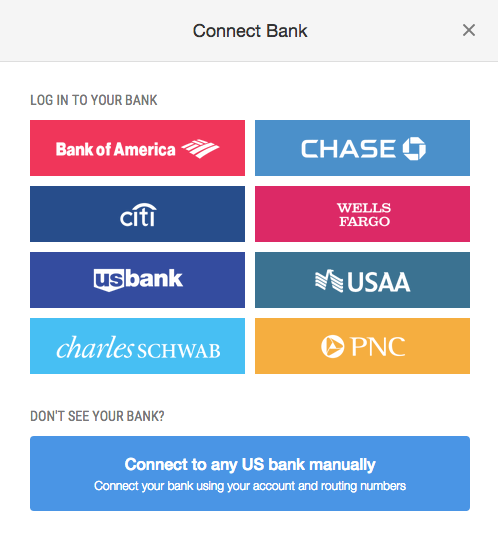 To connect to all other US-based bank accounts, you will need the following information: name on the account, routing number, account number, and account type.